Museo Eduardo Carrillo long admired the work of the Young Writers Program. 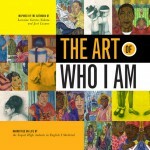 We thought that creating a partnership with them would enhance our mutual objectives to bring Latino art to students and stimulate the teen’s connection to the art and themselves through the YWP immersive writing program. The books featured here and at YWP share portions of those poignant, sometimes amusing and very real personal teen narratives. 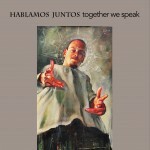 From the start, Museo worked with Arlene Gotshalk (Pajaro Valley Arts and Santa Cruz Arts Alliance) who co-piloted the course of the Hablamos Juntos | Together We Speak project. 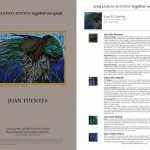 The posters focus attention on the artwork (front) and introduce the artists through interviews on the back. These poster files print on both sides of an 11” x 17” sheet. They are free for download. 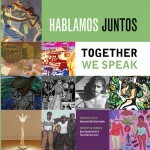 Museo’s work with The Young Writers Program led to an expansion of the Hablamos Juntos project. A new group of students enrolled in a Watsonville continuation high school were set to begin their Young Writers Program project. This second book is based on 26 images, the initial 10 artists and an additional 13 artists to round out the second phase of the HJ poster program. Artists were drawn from an exhibition at the Pajaro Valley Arts gallery and from Museo’s curation. Funded by the prestigious Rydell Grant (Community Foundation of Santa Cruz County) Museo designed and printed a series of 2’x3’ banners for display in windows throughout the Watsonville downtown corridor. The Museo built a coalition of diverse partners including the Young Writers Program, Pajaro Valley Arts, Government, and Chamber of Commerce businesses for the First Watsonville Art Walk September 3 – November 3, 2016. 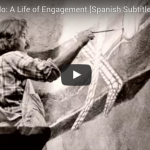 Watch “Eduardo Carrillo: A Life of Engagement” – 32 minute documentary film by Pedro Pablo Celedón & Barefoot Productions. 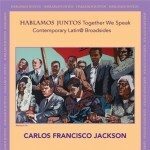 With Spanish subtitles.